And more Samnee-stuff to buy. Love it. Spidey and Werewolf by Night just so happen to be two of my favorite characters. Sold! I don't know what I'm more excited about, this killer Spidey/Sandman face-off or the thought of a whole book filled with your version of Spidey. Either way, it's a good day to be a Samnee-ac. 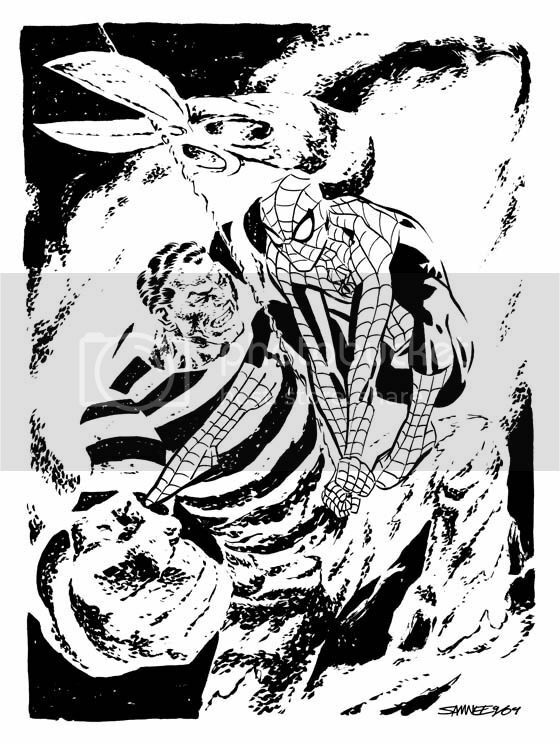 I agree with Brian, that you totally nailed both the granular appearance of Sandman and the clean lines of Spidey. The added bonus of Sandman using his powers to their full effect in this image puts it in rarified air for me. If any of the Marvel big-wigs get a gander at this, I'm sure we'll be seeing it grace the cover of a future Spidey issue. Well done, sir! Chris! Holy jeez! This is incredible! I have to think that you truly enjoy shape-shifting characters, as the Metamorpho you did for me some time ago has similar ''powers in action'' qualities to this Sandman. I love it, and congrats on the Spidey issue. Your Sandman is mad pimpin'. great, I'm pickin' this up. Thanks again Chris for the piece, I absolutely love it. Of the 3 pieces by you that I own, this is my favorite so far, I love my Mockingbird as well, but I gotta say, I do think this one might just be the best con sketch I've seen you do. And I'm just not saying that because I own it, ok... maybe I am :) But that's ok, I'm allowed to be a little biased. There's so much going on, yet it's so clean and simple, and just striking. The sand whipping around, the stripes, Spidey's lines, everything, it just all comes together to well. It's perfect. 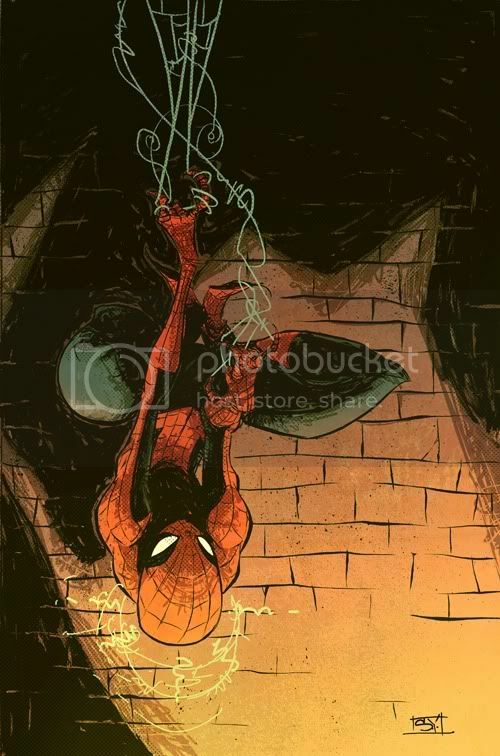 Man, I love that Sandman?Spidey piece.... I dig your stuff, but occassionally you floor me.